Nical has been active since 1965 in the technical diagnostic imaging sector. Thanks to Nical’s strong presence, constant research and innovation in the medical industry, it is fast growing in the dental sector, until attaining a patented system for intra-oral plate reading. Moreover, it has recently registered a patent for a detector to be used in human diagnostic imaging, veterinary diagnostics, dental and technical-industrial diagnostics. We have a high level of professional skills and take special care of our customers, meeting all customized product requests. Besides the recent innovations, Nical keeps up its historic design and production of monitors and cameras for medical imaging by collaborating with the major partners in the industry worldwide. NICAL S.p.A. was established in 1965 and its first product was a camera and a black and white monitor for video-surveillance systems. Over the next few years, the rapid growth of radiological systems using I.I. image intensifiers spurred the corporate Management to invest in the research and production of the first Vidicon cameras featuring such new image intensifiers. The Seventies set off with the huge success of the new product and Nical increasingly consolidated its image of a Research and Development company, working with the most important Italian reality in the radiological industry and realizing the first Film Safe luggage check system. Starting from the second half of the decade, thanks to the expertise acquired, Nical expands its activity in the industrial sector by manufacturing products for television broadcasting: colour monitors and cameras were produced, along with video and tele-cinema mixers for the major national and private networks. 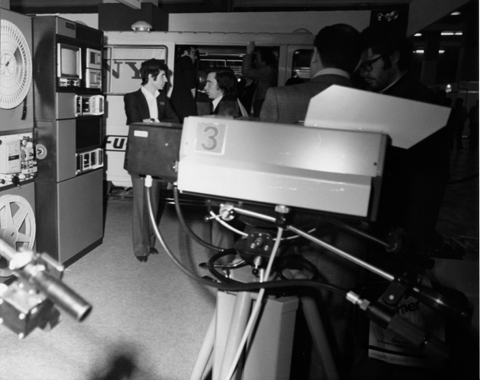 1975 sees the creation of the first digital system with image subtraction and use of a Vidicon camera tube. In the early Eighties Nical’s technological expertise significantly contributes to the development of private television broadcasting, while at the same time the company’s research and development activities carry on in the medical sector. At the time Nical’s laboratories create the new NDT systems, especially devoted to industrial applications. From the Nineties onwards the first CCD sensors are produced, gradually replacing the former Vidicon camera tubes. Thanks to the new digital devices the company establishes itself not only at a national level, but also on the European and U.S. markets. Since the year Two Thousand, after obtaining the ISO 9001 and ISO 46001 quality certifications, Nical conquers the Asian market and continues research in the technological sphere, achieving the patent for a new X-ray detector, EP 2378313, designed for various applications, from the veterinary medical sector to security systems, including dental radiology. Starting from 2010 Nical strengthens its presence in the medical sector with patent EP14164609.01 relating to the intraoral plate reader; and extends its action worldwide in the field of dental and veterinary imaging sector. Nical has been awarded the ISO 9001:2008 and ISO 13485:2012 certifications, the UL trademark for some types of cameras and a prestige international qualification like the American FDA, becoming an internationally renowned reality.